We’re all looking for simplicity in our tanks, and most of all from our aquarium plants. We don’t want too much hassle and often want immediate impact. So this is where Marimo lava rock comes in. Small – or some may call petite, this easy to grow and easy to keep aquatic moss can be placed pretty much anywhere in your planted aquarium. Due to its size, it’s more suited to the foreground of your planted aquarium unless you have a nano tank then you can pretty much place it anywhere. 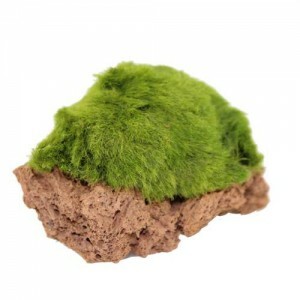 Marimo moss itself has been around for hundreds of years so it has literally survived the test of time, and in your tank it will look great. 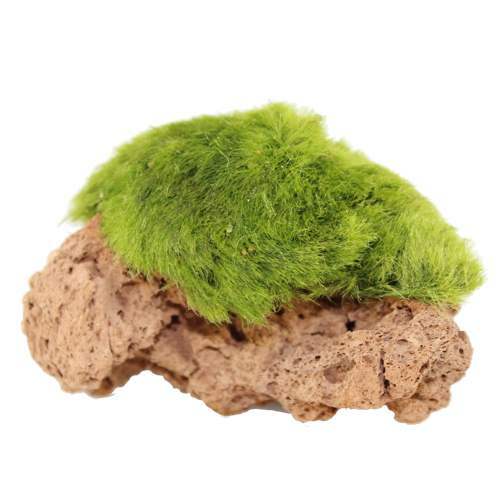 In nature, the word Marimo derives from the japanese word meaning ‘ball seaweed’ but you may have also heard of them being called Cladophora. Found in Japan and Australia, they have even been found in Scotland! In lakes they are constantly pushed around and this is where they get their shape from. The pieces of lava rock are approximately 7-11cm in diameter and each will vary from the next as they are all natural. Scatter a few around in your tank for more impact and nestle them down into the substrate to make it look natural – this will keep them where you want them to be. 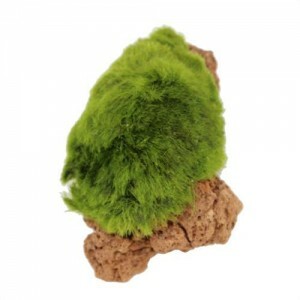 Marimo lava rock have proven so popular with a range of different hobbyists for a number of reasons. 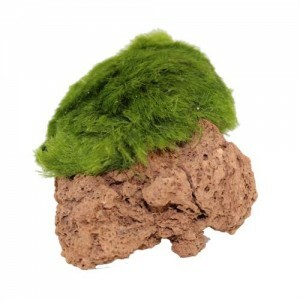 They’re great for people who are new because they pose no real difficulty and are almost impossible to kill, and similarly they’re great for experienced hobbyists because it adds something new and unique to any aquarium, and the vivid green from the Marimo is always eye catching. You can find these wonderful pieces by clicking here.